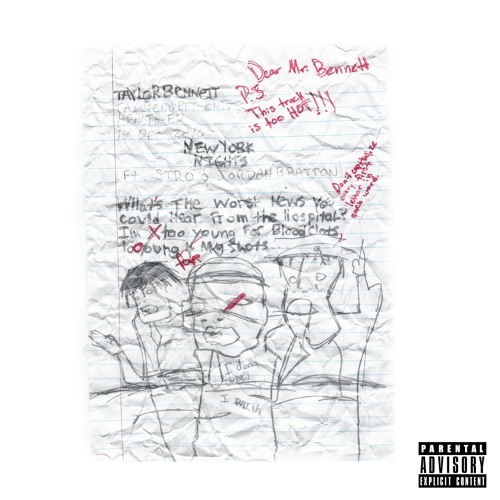 Taylor Bennett takes it to New York with this one, getting Stro and Jordan Bratton for "New York Nights". Laying out struggles one may face in life, this song brings hope of brighter days through dreams of success and good health. This record comes through from hardship, as Taylor explains in the a video release, how he had blood clots in his lungs. During his time in the hospital he gained inspiration for a new song, teamed up with the creators of the app Treble, with production from Julian "JFactor" Jacobson, Jachary, Mickey and himself we get this new song.